The Lagostina Nera Hard Anodized 5 Quart Casserole comes with a hammered stainless steel lid and is inspired by generations of passionate Italian cooking. With cast riveted stainless steel handles, the casserole pan looks stunning in the kitchen and on the table. Comfortable stay-cool handles are built for strength and stability over a lifetime of use. The dual-layer, metal-utensil safe nonstick interior makes the cooking experience more enjoyable and the cleanup quick. 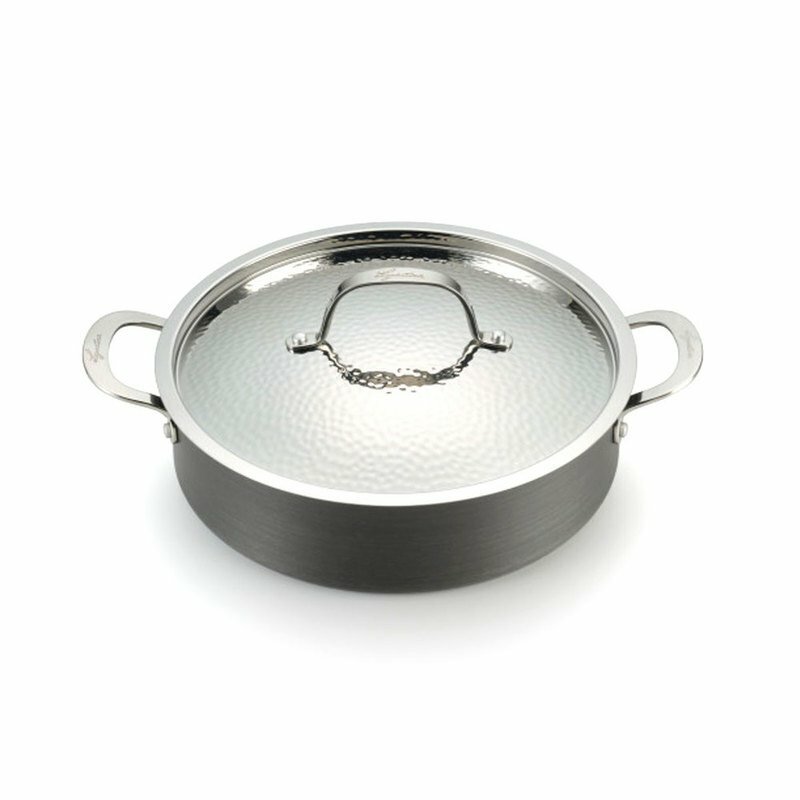 The stainless steel hammered lid adds another beautiful feature and provides a tight seal to lock in flavor while simmering. The pan can withstand oven temperatures up to 500°F, providing cooking versatility. This pan is destined to be your go-to kitchen helper.